Ducted Air Solutions provides a range of ducting solutions for both commercial and residential HVAC requirements. Our services range from sampling air and surfaces through to complete HVAC refurbishment. 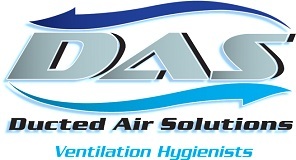 With Ducted AIr Solutions, you benefit from comprehensive experience and insights, to ensure the most cost-effective and hygienic solutions available. Many of our solutions have been sourced from the best available technology and methodology. Enjoy the difference for yourself and contact us today.